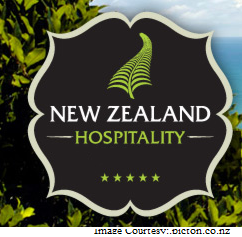 The New Zealand Immigration department is withdrawing key positions in the hospitality business for its migration skills shortage list as this understands that New Zealand nationals can fill the vacant positions. The progress to nationalise all jobs in the hospitality industry is anticipated to hit the restaurant division the toughest, according to its representatives, they claim that there’s a shortfall of skilled staff. The sector is challenging because New Zealanders are unable to take jobs for the utmost part to take on skilled occupations such as chefs or managers in addition, to the sources are predicting that prices will increase, and businesses will be compelled to close due to lack of staffing. Immigration officials are even now protesting to renew work visas for chefs and other restaurant staff from foreign countries, emphasizing that the positions can be taken by New Zealand unemployed workers. According to sources a restaurant owner was forced to list a unfilled position locally, the position requires three years of training, and amongst the 21 aspirants, only one was a New Zealand national. Some Other restaurant chain in Auckland with extension projects examined 100 local applicants, but was able to hire only one, who resigned his job after two months. This group is now being compelled to put its extension ideas on hold. Hospitality and Cafe manager positions are to be excluded from the list, with qualified chefs the next in line, and a growing number of international worker visas are now being denied.